This verse is crucial to any believer’s understanding of how we are saved and how we grow in grace and the knowledge of the Lord Jesus Christ (2 Pet. 3:18). Whenever we forget the truth of this, we fall back into trying to please God with our own effort and imagination. In that, we develop and devise a religion with which God is definitely NOT pleased (Heb. 11:6). Just because the person may be “gifted” is no indication that he or she is anointed. Too often, believers are ‘wowed’ by someone’s gift, but they fail to realize there is no anointing, that the Spirit of the Lord has left (Judg. 16:20). Saul was the anointed king of Israel, but he lost the anointing (1 Sam. 15:26) of God’s power upon him. And so it is today, especially among the charismatic churches. There are many who can prophesy, speak in tongues and cast out devils, but the Lord is not with them. Yet the people of God cannot recognize the lack of anointing, for they look to the gifts as proof of God’s presence, having failed to train their senses to discern between good and evil (Heb. 5:14). There is strong teaching within the church that lends itself to this misconception. We are taught that if we do thus and so, then God will do such and such. I am not saying that there are no conditional promises within the scripture, for, indeed there are. However, the conditional promises have been emphasized to such a degree that many believe they can manipulate God with them for just about anything. There are even some who say, “God is legally bound” to do something when you do your part first. The most important thing is “Does the Lord know you?” (Matt. 7:23; Gal. 4:9). For the Lord to know you, you must be one of His. To be one of His, you must be justified, that is, declared not guilty with respect to your sin. You cannot be declared “not guilty” before God by reason of anything you have done, but only through what Jesus has done (Gal. 2:16). This is a good post. I appreciate what you said about, "just because a person is gifted doesn't mean they are anointed." This is so true! Gods gifts are irrevocable and are not an indicator of his walk with the Lord. Look for the fruits. Oh yes, the important thing is, does God know you. Again, good post. Thank you. The concept of gifting/anointing has only recently come into my awareness. The works of the law never healed or delivered anyone,..those manifestations only came through the anointing of the Spirit and their manifestations are known to us as the gifts of the Spirit. Joh 10:25 Jesus answered them, I told you, and ye believed not: the works that I do in my Father's name, they bear witness of me. 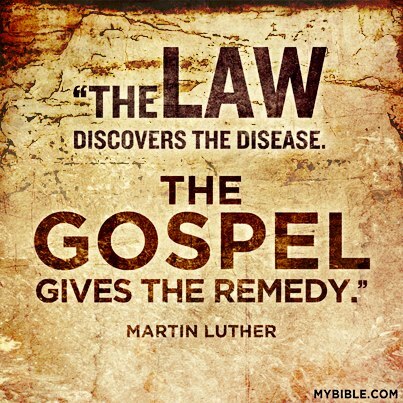 Why because the works of the law do not heal but the works through the Spirit of life do. The people knew Jesus was from God as did Nicodemus who said no one can do the works you do unless they are of God. Nicodemus knew the works of the law didn't produce the works the Anointed One (Christ) produced. He was known as the Christ because He was the anointed one...there are no true gifts of the Spirit without the anointing of the Spirit. There are two anointings in this world the Holy Spirit and demonic spirits through channeling...Jesus judgement comes on the latter. He is the author of the first. I think there is confusion on your part in using a scripture which clearly speaks of the works of the law which gives no one gifting and making a tie to the works of the Spirit which is the anointing to walk in the gifting. There is not true gifting without anointing...false gifting yes...false teaching and even those come from a false anointing. I would suggest doing a word study on the word works in the Gospels..,it may surprise you how many times Jesus talks about the works of the Father and His own works...we want the works of the Spirit (gifting) through the anointing...I wish every Christian knew these truths. I appreciate your pointing out what you perceive to be a twisting of the scripture. However, if you will notice--I only used one verse, not the entire chapter as you said. The purpose of the article was not to "teach on the differences of faith and the works of the law" but on the premise presented by verse 16. I am not doing a complete exposition of the Epistle to the Galatians, which is what you seem to require. The difference between anointing and gifting is important for people to understand so that they do not follow a false teacher. However, that was only a sidenote in the overall article used as an illustration of how we can follow false teaching. Remember, the entire epistle is about the effect of "false brethren unawares brought in..." (2:4). So, I believe I stayed on track with the thought of the letter. And after reading this again...Saul as king was not a gifting it was a position so he does not add to your teaching at all as a valid point. I do believe in the position you take on demanding anything from God...if we love Him we honor Him..and know He is working on our behalf. I disagree with your thought about Saul. He was "anointed" as king of Israel. The anointing of the OT teaches us about the anointing of the Spirit in the New. Saul lost the "anointing, but retained the "gift" or position, if you will. Again, thank you for adding to the understanding and discussion by presenting your thoughts. They are most welcome anytime.